*Bhumrah is declared fit. So he will play today’s match. *Malinga is available for selection but he might miss today’s match. *Mayank Markande is likely to replace Salam in playing lineup. *RCB are unlikely to make any changes in playing lineup. *Their bowling department did well against CSK. 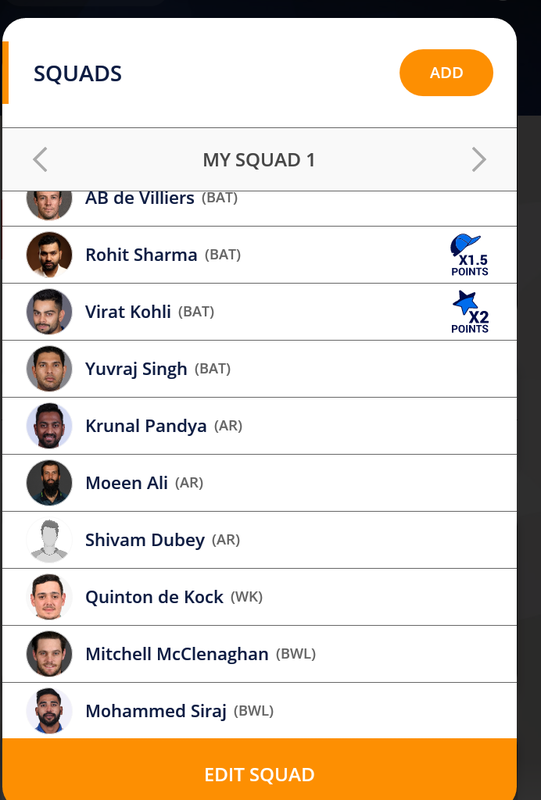 RCB: Virat Kohli, Parthiv Patel, Moeen Ali, AB de Villiers, Shimron Hetmyer, Shivam Dube, Colin de Grandhomme, Umesh Yadav, Yuzvendra Chahal, Mohammed Siraj, Navdeep Saini. *Vc update to De Kock.